Venture to Brasilia, the capital of Brazil, to explore the city that’s shaped like a bird in flight. Boasting innovative architecture, imaginative artwork, and symmetrical designs, Brasilia is the ultimate eye candy. Begin your travels at the Praca dos Tres Poderes, the plaza that the city revolves around. Here you can marvel at Planalto Palace’s magnificent design—the work of famed architect Oscar Niemeyer. Abstract structures and odd-shaped buildings lay scattered around the parallel-running avenues at the Monumental Axis. Discover the intricate construction of the Ministry of Justice and Itamaraty Palace, which is the headquarters for the Ministry of External Relations. The National Congress features a structure that looks like a bowl, while the National Museum sits inside a dome-shaped building with a unique walkway that looks like it’s orbiting the construction. For a truly marvelous sight, saunter into the nearby Metropolitan Cathedral. Perhaps Niemeyer’s most noteworthy masterpiece, it earned him the highest architectural award. The cathedral boasts 16 massive pillars that arch to the sky—forming a crown-like shape—alongside a peculiar bell tower. Inside the place of worship, you’ll find three angels hanging from the ceiling, surrounded by stained-glass windows. After adoring the architecture, take a stroll through the Sanctuary of Dom Bosco, which is dedicated to Bosco, an Italian saint. It is said that he predicted the rise of a “futuristic city,” and the Brazilians believe he was referring to Brasilia. On your next romp in the capital, admire the architecture and explore the fascinating installation artwork. From museums to palaces, this city won’t disappoint. 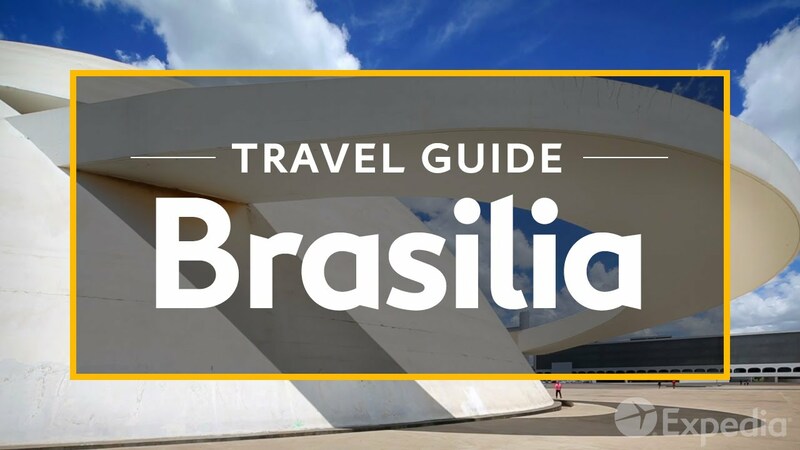 For more tips and advice, check out our Brasilia travel guide.